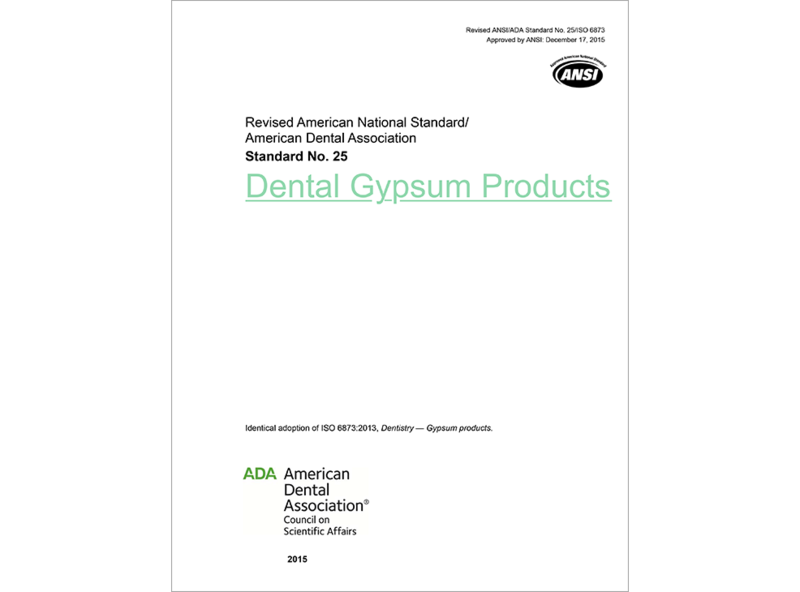 (DOWNLOADABLE PRODUCT) This standard provides a classification of, and specifies requirements for, gypsum products used for dental purposes such as making oral impressions, moulds, casts, dies or model bases, and mounting models. It specifies the test methods to be employed to determine compliance with these requirements. It also includes requirements for the labeling of packaging and for adequate instructions to accompany each package.